I am about to take the test in 1 month and I really need an objective perspective on my essays. Please assist in reviewing mine. Every year, several languages die out. 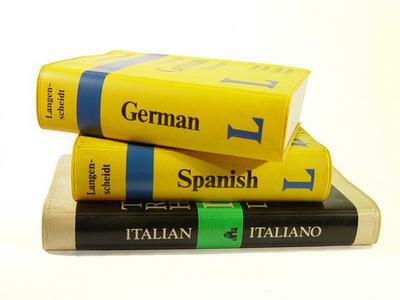 Some people think that this is not important because life will be easier if there are fewer languages in the world. Due to the globalization trend, the relentless changes of society have resulted in the loss of several languages yearly. From an objective perspective, I disagree with the opinion that this issue is not important because if there are fewer languages, the life would be easier. Firstly, only when there has been the penetration of foreign culture has the mother tongue lost its attention by youngsters. As the result, the generation gap between members in family has been extended and it has become the serious malady that should be turned the deliberated eyes. For example, because of the national application of English, the particular language of Singapore has just been used by elders. Therefore, the declining tendency of relationship between members in family has been increasing day by day and eventually, this conundrum has decreasing the value of family connection and it could lead the loneliness of older generation as the result. Nonetheless, the loss of traditions is definitely the serious consequence that is worth being considered. In details, the mother tongue is one of the traditional heritages in order to recognize a country or a community and if it has lost, it could lead the disappear of other accumulated values, such as the music, poem or other manual things of culture. It can be involved the loss of culture in some ethnic minorities in Vietnam, being affected by national language, the particular language of Cham, Hmong, Giao, etc have not been used by youngsters, and moreover, with other cultural values such as traditional habitats that have followed to disappear, the scenario is eventually estimated that those ethnic minorities would not be listed on the national map as the consequence. I would give you a 5.75 for this, which will be 6. The ideas are quite good, You have given specific examples to strengthen your ideas. However, you have serious mistakes in grammar and collocations. I have a few comments for your Death of Languages Essay. 1. The last sentence of your introduction is confusing. You should add "in their thought," after "Because". That If clause is not your opinion, right? 2. "Penetration of culture" is a weird concept. We have "mixed culture", "exchange culture". I think this word is not correct. 3. "has the mother tongue lost youngsters' attention". 5. "national application" does not sound right. "national usage" sounds better. 6. "the declining tendency ... has been increasing". Wrong passive voice and "increase" doesn't go with tendency => has been intensified. 7. "this conundrum has decreasing the value". Wrong present perfect structure ==< has decreased. 8. "it could lead the loneliness of older generation as the result"
Lead to ..., also "lead to" and "as the result" is redundant. 9. "the loss of traditions is definitely the serious consequence that is worth being considered". The second "the" should be "a". 10. "the mother tongue is one of the traditional heritages in order to recognize a country"
Mother tongue doesn't recognize. It makes people recognize. So, "in order for people to recognize"
11. "it has lost, it could lead the disappear of other accumulated values, such as the music, poem or other manual things of culture"
=> lead to the DISAPPEARANCE. => manual things, what do you mean? => Period after Vietnam, not comma. 13. AND MOREOVER => use one only. and is more appropriate in this case. 14. Discussion is used between two people. You should write "aforementioned ideas"
15. To emphasize your verb, please use adverb before it. "strongly disagree"
16. "because the life could be easier" => like my comment for the introduction. Too long - you can't write this much in 30 minutes, allowing 5 minutes for planning and vocab, and 5 minutes for checking your work after writing. Thanks guys, I will try harder next time. Nowadays it is possible to use computers and mobile phones for automatic language translation, and there is no need for human translators and interpreters. People have different views about the effective way of translating local language for the foreigner. While some people convinced that using mobile phones and computers to translate language automatically is a better way than renting translators. I totally disagree with this statement, as I strongly believe that human is an indispensable factor in this case and machines cannot understand all meaning of the text. To begin with, translated machines have some limitations which can lead people misunderstanding the meaning of language. Firstly, the electronic translators have limited database, which just contained popular words of all languages and some phrases cannot be translated by these devices. For example, when foreigners use slang or idioms in speaking, people cannot understand without having experienced or an interpreter beside. In some cases, computer and mobile may be effective in translating the single word or short phrases, but it is not flexible with the long sentences. Translated programs tend to transform complicated sentences to word by word, so that reader cannot apprehend fully the meaning. Therefore, translated devices just found a good use among children to define the meaning of words. Further emphasizing on my point of view, a human interpreter is much more useful than any computer or mobile devices. A translator may communicate with foreigner frequently without any trouble, for using mobile to translate, it is impossible if they do not have internet network. For example, when you enjoy a trip in a foreign country, interpreter helps you not only communicate with local citizens but also get you experience and knowledge about culture, manner, and custom… So that, a human translator is much more convenient than any electronic devices. In conclusion, the advancement of technology is undeniable, however, the automatic program should use on searching vocabulary or short word. I believe that human translator sources are integral in the world and do not have any machines can replace them. Please give me feedback on my IELTS Essay. People have different views about the effective way of translating local language for the foreigner. While some people convinced/convince that using mobile phones and computers to translate language automatically is a better way than renting translators. I totally disagree with this statement, as I strongly believe that human is an indispensable factor in this case and machines cannot understand all meaning/s of the text. Word limit exceeds from 41 to 64 but it is having two grammar mistakes which pulls you back from seven band answer to 6.5 instead. Owing to the technology of having translators inbuilt with our phones and computers, some people consider that we should not believe on any human translator.In my opinion,I strongly disagree with the fact as none of them is justifying to their jobs. Though u have a good hold over writing for the task achievement, an improper balance of both the para's would lead you towards negative impression on the examiner.just start with the justifying two points in both the para's. These days, when you turn on the TV or flick through the pages of newspaper, you learn about the death of languages. Every year several languages die out due to the fact that people are trying to use the languages which are foremost and common. There are several inadequate languages and without them life will be easier, however, this is refuted by others. All arguments will be weighed prior to reaching an informed conclusion. First of all, many people believe that death of languages is not essential, because there are lots of languages and the massive number of languages can entail some problems for the people. For example, people who are dealing with business and trying to make relations with foreigners should learn several languages. However, for this purpose, there are several languages which is common and all people try to learn them and use them for alleviating some communication difficulties. Also, common languages make education and life appropriate for foreigners. This examples show clearly that death of languages is not important due to the fact that people need common languages for easier life. On the other hand, many people argue that all languages is vital for us. They believe that languages show our roots and they are symbols of our generations. For instance, people will not be eligible to learn about their history without languages. Furthermore, habitants always have a penchant for learning the traditions, customs and life style of their generations and without language it is impossible. It is easy to see why this argument has garnered a lot of support. To sum up, it is believed that some languages are dying out and it is not vital, however others think that it is essential for learning about our roots. you have just discussed both the views. where is your agreement or disagreement statement? In some countries, minority languages are disappearing. Some people say that governments should save languages. Others disagree. Many minority languages which are spoken by small populations are on the verge of disappearance. Some people believe that the governments should pour the public budget into protecting their local languages, while the detractors tend to consider that it is unworthy. This essay will analyze each side of this controversial issue. One of the main arguments for language-saving is that language is an invaluable part of culture. Definitely, speaking help people not only with communicating but also comprehending in order to enhance their community relations. In the term of humanity science and literature, writing is the most common and useful aiming at transmitting the knowledge and wisdom. That why, as a result, the present and following generations are able to access the substantial sources of documentaries in various types such as books, hand-writing papers, novels and researches... Another reason for saving minor population spoken languages is that they are the distinctive and characteristic features of every culture therefore they play an indispensable role in attracting tourists. Consequently, not only local authorities but also their citizen incomes are possibly enlarged considerably. On the contrary, the opponents of spending state pensions on ethnic language protection claimed that it is unnecessary. Many people claim that governments ought to make every attempt to deal with the national issues for example economic recession, environment pollution or poverty... In addition, they believed that the globalization process will be more effective and beneficial with several superior common languages namely: English, French, Spanish and even Chinese and Japanese. Taking everything into consideration, both sides of this debating have convincing arguments, however, in my point of view, although minority languages are spoken by the small number of local people, it is crucial and perennial profitable to preserve them from extinction. The responsibilities belong to not only the administrations but also the public and communities to save the language's lives. Help this student improve their IELTS essay score by commenting below on their Globalisation Essay on the Disappearance of Minority Languages. I'm also still learning for IELTS exam. I am studying and collecting materials for Exam. So, It s very good Essay as my knowledge.